"Killebrew" redirects here. For other people of the same surname, see Killebrew (surname). Harmon Clayton Killebrew (/ˈkɪlᵻbruː/; June 29, 1936 – May 17, 2011), nicknamed "The Killer" and "Hammerin' Harmon", was an American professional baseball first baseman, third baseman, and left fielder. During his 22-year career in Major League Baseball (MLB), primarily with the Minnesota Twins, Killebrew was a prolific power hitter who, at the time of his retirement, was second only to Babe Ruth in American League (AL) home runs and was the AL career leader in home runs by a right-handed batter (since broken by Alex Rodriguez). He was inducted into the National Baseball Hall of Fame in 1984. Killebrew was a stocky 5-foot-11-inch (180 cm) tall, 213-pound (97 kg) hitter with a compact swing that generated tremendous power. He became one of the AL's most feared power hitters of the 1960s, hitting 40 home runs in a season eight times. In 1965, he played in the World Series with the Twins, who lost to the Los Angeles Dodgers. His finest season was 1969, when he hit 49 home runs, recorded 140 runs batted in (RBIs), and won the AL Most Valuable Player Award. Killebrew led the league six times in home runs and three times in RBIs, and was named to eleven All-Star teams. With quick hands and exceptional upper-body strength, Killebrew was known not just for the frequency of his home runs but also for their distance. He hit the longest measured home runs at Minnesota's Metropolitan Stadium, 520 ft (160 m), and Baltimore's Memorial Stadium, 471 ft (144 m), and was the first of just four batters to hit a baseball over the left field roof at Detroit's Tiger Stadium. Despite his nicknames and his powerful style of play, Killebrew was considered by his colleagues to be a quiet, kind man. Asked once what hobbies he had, Killebrew replied, "Just washing the dishes, I guess." After retiring from baseball, Killebrew became a television broadcaster for several baseball teams from 1976 to 1988, and also served as a hitting instructor for the Oakland Athletics. He also divorced and remarried during this time, moving to Arizona in 1990 and chairing the Harmon Killebrew Foundation. Killebrew was diagnosed with esophageal cancer in December 2010, and died five months later. Born in Payette, Idaho on June 29, 1936, Harmon Killebrew was youngest of four children to Harmon Clayton, Sr. and Katherine Pearl (May) Killebrew. His father, a painter and sheriff, was a member of an undefeated Millikin College football team who was later named an All-American under eventual Pro Football Hall of Fame coach Greasy Neale. According to family legend, Harmon Killebrew's grandfather was the strongest man in the Union Army, winning every available heavyweight wrestling championship. Clayton encouraged Harmon and his brothers to stay active in various sports before his sudden death in 1953 at age 59. As a child, Harmon played baseball at Walter Johnson Memorial Field, named after the Hall of Fame pitcher who spent part of his childhood in Idaho. He worked as a farmworker in his youth, where he lifted 10-gallon milk cans, each can weighing about 95 lb (43 kg). Killebrew earned 12 letters in various sports and was named an All-American quarterback at Payette High School; his uniform number was later retired by the school. He was offered an athletic scholarship by the University of Oregon, but declined the offer. In the early 1950s, Idaho Senator Herman Welker told Washington Senators owner Clark Griffith about Killebrew, who was hitting for an .847 batting average for a semi-professional baseball team at the time. Griffith told his farm director Ossie Bluege about the tip and Bluege flew to Idaho to watch Killebrew play. The Boston Red Sox also expressed interest but Bluege succeeded in signing him to a $50,000 ($441,326 today) contract on June 19, 1954. 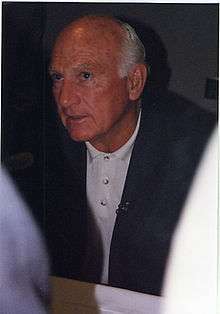 Killebrew signed his contract under Major League Baseball (MLB)'s Bonus Rule, which required that he spend two full seasons on the major league roster. Making his major league debut four days after signing and six days from his 18th birthday (becoming the youngest active player in the majors at the time), Killebrew was called on to run for Clyde Vollmer, who had been hit by a pitch, with the bases loaded, by Chicago White Sox starter Jack Harshman while pinch hitting for Senators reliever Chuck Stobbs. On August 23, 1954, Killebrew made his first start in the second game of a doubleheader against the Philadelphia Athletics, hitting two singles and a double as the Senators won the game, 10–3. A year and one day after making his major league debut, Killebrew hit his first major league home run on June 24, 1955 in the 5th inning off Detroit Tigers starter Billy Hoeft, five days shy of his 19th birthday. In his first two seasons, Killebrew struck out 34 times in only 93 at bats, contributing to a .215 batting average with four home runs. Killebrew also had defensive difficulties at third base, where he played behind veteran Eddie Yost. When Killebrew's bonus period expired in 1956, he was sent to the Senators' minor league affiliate in Charlotte of the South Atlantic League. He returned to the majors in early May. On May 29, after being forced into action when regular second baseman Pete Runnels was injured early in the game, Killebrew hit two home runs in the game, including only the second ball ever hit over a wire barrier in Memorial Stadium's center field. 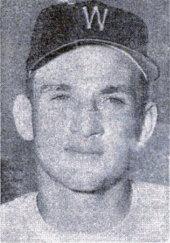 Killebrew had a .115 average through June 16, and as a result was sent back to Charlotte; he finished the season there with a .325 batting average and 15 home runs in 70 games. Killebrew spent most of the 1957 season with the Southern Association's Chattanooga Lookouts, where he hit a league-high 29 home runs with 101 RBIs and was named to the All-Star Game. While in Chattanooga, Killebrew became the only player to hit a home run over the center field wall at Engel Stadium, 471 feet (144 m) from home plate. In 1958, he was briefly promoted to Indianapolis of the American Association but struggled and was sent back to Chattanooga for most of the season. Killebrew finished the season with 38 games played in Indianapolis and 86 in Chattanooga, where he hit .308 with 17 home runs. He also played a combined 22 games for the Senators in 1957 and 1958. Calvin Griffith took over the Senators after his uncle Clark Griffith died in 1955, and decided Killebrew was ready to become the Senators' regular third baseman. Griffith traded the 32-year-old Eddie Yost to the Detroit Tigers on December 6, 1958, and Killebrew became the starting third baseman. From May 1 to May 17, he had five multi-home run games and his first five-RBI game on May 12. With 28 home runs by mid-season, he started the first 1959 All-Star Game and was a reserve in the second. Killebrew attracted so much attention in Washington that he was visited by President of the United States Dwight D. Eisenhower, who frequently attended games, and Griffith turned down a $500,000 offer for Killebrew from the Cincinnati Reds. Killebrew finished the season with 42 home runs to tie for the American League lead; it also tied the Senator's single-season record set by his teammate Roy Sievers two years earlier. Although 1959 proved his breakout season, he was ineligible for the Rookie of the Year Award because of his previous sparse experience. Instead, the award went to teammate Bob Allison. Killebrew was bothered by injury early in the 1960 season. In March, he had surgery for nasal irritation, and a recurring hamstring injury caused him to miss most of May. On his return, he remained in the lineup for the rest of the season, finishing the year with 31 home runs in 124 games. Killebrew's arrival and home runs did little to improve the Senators' record, as they finished in the second division of the American League every year he played for Washington, including four years in last place. Following the 1960 season, the Senators moved to Minnesota and became the Minnesota Twins. For the franchise's first year in Minnesota, Killebrew was named team captain by manager Cookie Lavagetto. He responded by hitting 46 home runs, breaking the franchise record he had tied two years earlier. Among his other accomplishments over the course of the season, Killebrew accumulated a team-leading 122 RBIs, achieved a career-best batting average of .288 and had a slugging percentage of over .600 for the only time in his career. In addition, he had a career-high seven triples, tying for the team lead, and led his team in runs, total bases and walks. On June 12, 1961, Killebrew had the only five-hit game of his career in a losing effort by the Twins. Killebrew was named to both 1961 All-Star games. He did not play in the second game, but in the first game, he hit a pinch hit home run in the sixth inning. After the season ended, Killebrew took part in a home run hitting contest with Jim Gentile and Roger Maris, whose 61 home runs that year broke the single-season record; Killebrew hit 20 to win the contest. After his seven-triple season, his speed began to decrease and he could no longer regularly score triples due to pulling his quadriceps during the 1962 season. Killebrew moved to left field, where he started off the season slowly. He hit under .200 in both April and June, and because of this Killebrew was not selected to play in either 1962 All-Star Game, the last season he was not named an All-Star before 1972. On July 18 in a game against the Cleveland Indians, Killebrew and Bob Allison became the first teammates since 1890 to hit grand slams in the same inning as the Twins scored 11 runs in the first. Over the course of the season, Killebrew hit 48 home runs, 126 RBIs, and had 107 walks, all career highs at the time. No one else in the AL managed even 40 home runs and he also led the league in RBIs. Killebrew's 48 home runs also broke the franchise record for the second year in a row. Not all of his stats were positive; Killebrew's batting average dropped from .288 in 1961 to .243 and he struck out a career-worst 142 times, leading the AL. Killebrew's efforts were rewarded in 1963 when he agreed to a contract for about $40,000 ($309,696 today). He started the season off slowly, and he missed the second half of April and early May due to a right knee injury that was slow to heal. Killebrew continued his hitting prowess for the Twins upon his return, and at one point led them on a six-game winning streak. On September 21, Killebrew hit three home runs in a game for the only time in his career in the first game of a doubleheader against the Boston Red Sox. Killebrew finished the season with a .258 batting average, 45 home runs, and 96 RBI, and led the league in home runs and slugging percentage (.555). He had surgery on his troublesome right knee after the season ended. Having played left field for the previous three years with a below-average throwing arm, the additional complication of Killebrew's knee surgery necessitated a move to the infield. For the remainder of his career, he played only 19 games in the outfield. He finished the 1964 season with a .270 batting average, 49 home runs, and 111 RBI; he led the AL in home runs for the third consecutive year. The Twins finally won the American League pennant during the 1965 season. On July 11, the day before the All-Star break, defending AL champion Yankees had a one-run lead over the Twins going into the bottom of the 9th inning, but Killebrew hit a two-run home run for the win. Two days later, Killebrew started the All-Star Game at his home field, Metropolitan Stadium, and hit a game-tying two-run home run, erasing what had been a 5–0 National League lead. Elected to play first base on his fifth All-Star team, Killebrew became the first player in All-Star game history to be elected at three different positions, having previously been selected to play third base (1959 and 1961) and left field (1963 and 1964). Killebrew drove in the tying or winning run seven times in 1965 before suffering an injury on August 2. During a game against the Orioles, Twins third baseman Rich Rollins made a poor throw to first and while trying to save the play, Killebrew collided with the runner and dislocated his elbow, putting him out of action until mid-September. Despite his absence, the Twins had a win-loss record of 28–19 and even extended their first place lead. Killebrew ended the regular season with 25 home runs and 75 RBI, his lowest numbers in a full season due to the injury. In the 1965 World Series against the Los Angeles Dodgers, Killebrew and Zoilo Versalles led the Twins with .286 batting averages, and Killebrew hit a home run off Don Drysdale in Game 4. Overall, Minnesota was shut out in three games and the Dodgers won the series in seven games. At the start of the 1966 season, Killebrew hit a few home runs; halfway through May, he had only hit two home runs, his lowest total at that point of a season since 1960, when he had missed the first two months of the season. He later increased his tally to 39 and finished the season with a .281 batting average and 110 RBIs. He led the AL with 103 walks and finished 4th in Most Valuable Player Award (MVP) voting to Frank Robinson, Brooks Robinson, and Boog Powell. During the 1967 season, Killebrew showed his ability to hit long home runs when, on June 3, 1967, he struck the longest home run recorded at Metropolitan Stadium, a shot off Lew Burdette in the 4th inning that landed in the second deck of the bleachers. The Twins, led by Killebrew, were in the pennant race throughout the season, and had a one-game lead as the final two games of the season began against the Boston Red Sox. Having to win only once to clinch the pennant, Killebrew hit a home run in the first game and recorded two hits in each game, but Boston won twice and Minnesota finished in a second place tie with the Detroit Tigers. Killebrew finished the season with a .269 batting average and 113 RBIs, and led the AL with 44 home runs (tied with Carl Yastrzemski) and 131 walks. He also finished a distant second in MVP voting to Boston's Triple Crown winner Carl Yastrzemski. Killebrew started the 1968 season in a different venue; he served as a prosecution witness in a case where his name was being used to sell stocks in Idaho, unknown to him. Despite this, the season was unsuccessful for Killebrew, whose batting average barely passed .200 most of the year; after a strong start, he hit below .200 in both May and June and his average stood at .204 with 13 home runs going into the all-star break. Even so, he was selected as the starting first baseman in the All-Star Game and Killebrew stated that, owing to his poor start, he was "surprised" and "embarrassed" by the selection. In the All-Star Game itself, in the third inning he stretched for a ball thrown by shortstop Jim Fregosi and his foot slipped and he did the splits, rupturing his left medial hamstring. He was carried from the field by a stretcher. At the time, the injury was considered career-threatening, but after missing about six weeks, he returned to limited action in September. After enduring seven months of rehabilitation for his injury, Killebrew remained in pain but rebounded to have his best season in 1969. On July 5, Killebrew set a career-high with six RBIs in a game against the Oakland Athletics. That personal best lasted barely two months: on September 7 he hit a three-run home run and a grand slam for seven RBIs, all in the first two innings, to defeat the Athletics again. Killebrew led the best offense in the league and rookie manager Billy Martin's Twins won the new American League West division as a result. For the season, Killebrew set career highs in RBIs, runs, walks and on-base percentage, tied his career high with 49 home runs, and even registered eight of his 19 career stolen bases, en route to winning his only Most Valuable Player Award. He led the AL in home runs, RBIs, on-base percentage, walks, and intentional walks and knocked in the winning run 20 times while playing in all 162 games. As of 2011, Killebrew's home run, RBI, and walk totals from 1969 remain team records, and his 145 walks are tied for the 20th highest single season total in MLB history and 7th highest for a right-handed batter. In the 1969 American League Championship Series, the Baltimore Orioles used their pitching staff, the best in the league, to defeat Minnesota and win the series three games to none. Baltimore avoided Killebrew by walking him six times in the three games to avoid pitching to him, which was as many times as they walked the rest of the Twins team. After his MVP season, Killebrew signed a new contract with the Twins worth $90,000 ($549,332 today). He was set to lead a team that had undergone a lot of change; Killebrew was one of only four Twins remaining from the 1965 pennant-winning club. He spent most of the season's first half continuing his success, and found Baltimore's Brooks Robinson rivalling him for the third base spot during the All-Star voting process; the two were neck-and-neck throughout. He continued his success through the second half of the year, and at season's end Killebrew had hit 41 home runs with 113 RBIs and finished third in MVP voting behind teammate Tony Oliva and Baltimore's Boog Powell, who won the award. The Twins again faced Powell and the Orioles in the 1970 American League Championship Series, a rematch of the previous season. The Twins were again swept, though Killebrew's performance improved as he hit two home runs in three games. Killebrew reached the 40 home runs for the final time in 1970 and also made his last appearance in the postseason. His contract continued to grow in value though, and before the 1971 season began he was awarded the first $100,000 ($585,292 today) contract in Twins' history. Killebrew appeared in his last All-Star Game in 1971, hitting a two-run home run off Ferguson Jenkins to provide the margin of victory for the AL. He finished the season with a .254 batting average, 114 walks, 119 RBI, the latter two of which led the league, and 28 home runs. Killebrew hit his 498th home run on June 22, 1971, but a sprained right toe made his run to milestone number 500 a slow one. He hit number 499 more than a month later and finally hit number 500 off a Mike Cuellar slow curveball in the first inning of an August 10 home game; at the time, he was the 10th player in history to hit 500 home runs. He then wasted no time in hitting number 501, knocking a Cuellar fastball over the fences later in the same game. Harmon Killebrew's number 3 was retired by the Minnesota Twins in 1975. In 1972, Killebrew showed signs of slowing down. He missed his first All-Star Game since 1962, but instead of expressing disappointment in his streak ending, he noted that Twins shortstop Danny Thompson should have had the opportunity to play instead; Thompson mentioned the same thing about Killebrew. Despite not making the team, Killebrew's home run total continued to climb, and by the end of July he had Jimmie Foxx and Mickey Mantle career marks in his sights; he went on to pass both in August. Killebrew finished the season with a .231 batting average, 26 home runs, and 74 RBIs. There were questions about Killebrew's health as the 1973 season began, as he had surgery twice during the offseason to fix leg problems. He played through the first half of the season, but an injury to his left knee on June 25 sidelined him. A month later, the injury had not cleared up, and he underwent surgery to remove some torn cartilage; he did not return to the lineup until mid-September. Killebrew only played in 69 games that season, hitting five home runs. Fully recovered for the 1974 season, Killebrew made his mark early on, hitting two home runs in a May 5 match against the Detroit Tigers; the second was career home run number 550. In his honor, the Twins held a Harmon Killebrew Day in August, where it was announced that they would retire his number; Killebrew responded by leading the Twins to a 5–4 victory over the Orioles. He finished the season with a .222 batting average, 13 home runs, and 54 RBIs. In December 1974, he was given the option of staying with the Twins as a coach and batting instructor, managing the AAA Tacoma Twins, or being released. He chose to be released, ending his 21-season tenure with the Twins. On January 24, 1975, eight days after getting his release from the Twins, Killebrew signed a one-year contract with the Kansas City Royals. During his return to Minnesota in early May, the Twins formally retired his No. 3 jersey. In that game, Killebrew hit a home run against his former teammates and received a standing ovation from the crowd. In 106 games with the Royals, he had a batting average of .199, 14 home runs, and 44 RBIs. At the end of the season, the Royals decided to release Killebrew. In March 1976, he formally announced his retirement and stated that he would become an announcer and color commentator for Twins games. At the time of his retirement, he was fifth all-time on the home run list. Killebrew was first eligible for the Hall of Fame in 1981 and received 239 votes, or 59.6% of the vote; 75% of the vote is required for induction. While he did hit 573 home runs (5th all-time when he left the game), he amassed a relatively low hit total (2086), given the years he played, combined with a high number of strikeouts (1699), and a .256 batting average. In 1982, Killebrew received 59.3% of the vote, taking a backseat to Hank Aaron and Frank Robinson, who made it in their first year of eligibility. After receiving 71.9% of the vote in 1983, Killebrew said that not getting in that year was more difficult to accept than the previous two times, and asked "Why do the writers feel there only has to be a certain number inducted each time?" In 1984, Killebrew received 83.1% of the vote and was elected to the Hall in his fourth year of eligibility, joining Luis Aparicio and Don Drysdale as electees. Following his retirement, Killebrew was a television broadcaster for the Twins at WTCN TV from 1976 to 1978, the Oakland Athletics from 1979 to 1982, the California Angels in 1983 and back with Minnesota from 1984 to 1988. While with Oakland, he also served as a major- and minor-league hitting instructor. In the late 1980s, Killebrew had financial problems. In July 1988, his house went into foreclosure and, in 1989, the Minneapolis Star Tribune reported that he had fallen $700,000 into debt. He also divorced his first wife of over 30 years, Elaine, who he had married in 1955. Soon after, Killebrew's health failed. In May 1990, he was rushed to the hospital with a collapsed lung and damaged esophagus. Together with a subsequent abscess and staph infection, Killebrew endured three surgeries and nearly died. He used a wheelchair for some time post-surgery. By December 1990, his health was improved and he was remarried to Nita. Killebrew was involved in a Boise, Idaho insurance and securities business. He moved to Scottsdale, Arizona in 1990, where he chaired the Harmon Killebrew Foundation, which he created in 1998. Killebrew founded the Danny Thompson Memorial Golf Tournament in 1977 with former Idaho congressman Ralph Harding, which is played annually in late August in Sun Valley, Idaho, and has donated more than $8.6 million to leukemia and cancer research. Thompson was a Twins teammate who continued his major league career while suffering from leukemia; he died in December 1976 at the age of 29. No individual has ever meant more to the Minnesota Twins organization and millions of fans across Twins Territory than Harmon Killebrew. Harmon will long be remembered as one of the most prolific home run hitters in the history of the game and the leader of a group of players who helped lay the foundation for the long-term success of the Twins franchise and Major League Baseball in the Upper Midwest. However, more importantly Harmon's legacy will be the class, dignity and humility he demonstrated each and every day as a Hall of Fame-quality husband, father, friend, teammate and man. "Killebrew can knock the ball out of any park, including Yellowstone." — Paul Richards, Baltimore Orioles manager, 1959. Despite his nicknames and style of play, Killebrew was considered by his colleagues to be a quiet, kind man. While still an active major leaguer, Killebrew became a Mormon, and never smoked or drank. He was once asked in an interview what hobbies he had, to which he replied, "Just washing the dishes, I guess." In his career, Killebrew hit 573 home runs, which as of 2015 is currently 11th all-time, 1,584 RBIs, 1,559 walks, which is currently 15th all-time, and he easily holds the all-time home run record among players born in the state of Idaho with 573; Vance Law is second with 71. He also finished with the record of having the most plate appearances (9,831) in his career without a sacrifice hit (since broken by Frank Thomas with 10,074 plate appearances). The street along the south side of the Mall of America, the former site of Metropolitan Stadium, in Bloomington, Minnesota was named "Killebrew Drive" in his honor. Banners that hung above the Metrodome's outfield upper deck, resembling baseball cards, showed the retired numbers: Killebrew (3), Rod Carew (29), Tony Oliva (6), Kent Hrbek (14) and Kirby Puckett (34). In 1999, he was ranked 69th on The Sporting News list of the 100 Greatest Baseball Players and was nominated as a finalist for Major League Baseball's All-Century Team. When the Twins moved into Target Field in 2010, Gate 3 on the southeast (centerfield) side of the stadium was named in his honor. There are also corresponding gates for the team's other retired numbers. Killebrew Canyon at Heavenly Mountain Resort is also named after the baseball star, who skied the outer limits of the resort after his retirement from baseball. Despite rumors that Killebrew was the player depicted in the Major League Baseball logo, according to the creator, Jerry Dior, it was not patterned after Killebrew or any other specific player. Killebrew is the model for the Major League Baseball Players Alumni Association, an organization which Killebrew helped found in 1982. The Killer was one of the most feared sluggers in baseball history, but he was also one of the nicest people ever to play the game. He was one of the few players who would go out of his way to compliment umpires on a good job, even if their calls went against him. I'd call a tough strike on him and he would turn around and say approvingly, "Good call." And he was the same way in the field. And he never did this to get help on close plays, as some players do. The man hit 573 major league home runs and no umpire ever swung a bat for him. Harmon Killebrew's red bleacher seat showing where his 520-foot (160 m) home run was hit, overlooking the flume ride at the MOA's Nickelodeon Universe in Bloomington, Minnesota. Killebrew was known for his quick hands and exceptional upper-body strength, demonstrated by several "tape measure" home runs that he hit in the prime of his career. Killebrew said that his first home run in the Majors was his favorite, coming off Billy Hoeft at Griffith Stadium. He said of it, "Frank House was the catcher. When I came to the plate, he said, 'Kid, we're going to throw you a fastball.' I didn't know whether to believe him or not. I hit it out. It was one of the longest home runs I ever hit. As I crossed the plate, House said, 'That's the last time I ever tell you what pitch is coming'." On August 3, 1962, he was the first batter ever to hit a baseball over the left field roof at Tiger Stadium, a seldom-reached target as contrasted with the old ballpark's smaller right field area. Only three others accomplished this feat during the next 37 seasons before the stadium was closed. On May 24, 1964, Harmon hit the longest measured homer at Baltimore Memorial Stadium, 471 feet (144 m) to deep left center. The ball landed in the far reaches of the bleachers. The only player to hit one completely out of the Orioles' stadium was Frank Robinson in 1966; his blast was reported as about 451 feet (137 m), or about 20 feet (6.1 m) less than Killebrew's hit. On June 3, 1967, Killebrew hit a 520-foot (160 m) home run, the longest measured home run ever hit at Metropolitan Stadium and, as of 2011, the longest in Twins history. That event is commemorated at the Mall of America in Bloomington, which includes a plaque marking home plate, and one red-painted seat from the Met which was placed at the location and elevation of the landing spot of the home run. The new Target Field has a statue of a Gold Glove outside Gate 34 and it is exactly 520 feet (160 m) from Target Field's home plate. 1 2 3 Goldstein, Richard (May 17, 2011). "Harmon Killebrew, Twins' Hall of Fame Slugger, Dies at 74". The New York Times. Retrieved May 17, 2011. 1 2 Heilman, Barbara (April 8, 1963). "Out Of The Park On A Half Swing". Sports Illustrated. 1 2 Porter, p. 807. 1 2 3 Thielman, p. 132. 1 2 Thielman, p. 131. 1 2 Thielman, p. 134. 1 2 3 4 5 6 7 8 Porter, p. 808. ↑ "Senators Pay $50,000 To First Bonus Player". The New York Times. June 20, 1954. p. 3. ↑ "June 23, 1954, Senators at White Sox Box Score and Play by Play". Baseball-Reference.com. Retrieved May 19, 2011. 1 2 3 4 5 6 7 8 9 10 11 12 13 14 15 16 17 18 19 20 21 22 "Harmon Killebrew Statistics". Baseball-Reference. Retrieved June 28, 2008. ↑ Povich, Shirley (September 1, 1954). "Kid Killebrew Shines at Bat in Bow as Nat". The Sporting News: 6. ↑ "June 24, 1955, Tigers at Senators Play by Play and Box Score". Baseball-Reference. Retrieved May 19, 2011. 1 2 3 4 5 "Minnesota Twins Retired numbers – 3: Harmon Killebrew". MLB.com. Retrieved July 23, 2008. 1 2 "The 1956 WAS A Regular Season Batting Log for Harmon Killebrew". Retrosheet. Retrieved June 28, 2008. 1 2 3 "Harmon Killebrew Minor League Statistics & History". Baseball-Reference. Retrieved September 3, 2010. 1 2 Thielman, p. 137. ↑ Murrell, I. C. "Harmon Killebrew: Baseball's killer". The Idaho Press-Tribune. Archived from the original on June 18, 2008. Retrieved July 13, 2008. ↑ "Eddie Yost Statistics". Baseball-Reference.com. Retrieved June 28, 2008. 1 2 Allen, p. 76. 1 2 3 "Club home run leaders – Season". Baseball Digest. 62 (6): 80. June 2003. Retrieved July 20, 2008. ↑ "Killebrew to Undergo Knife". Gadsden Times. March 27, 1960. p. 6. ↑ "...To Complete the Report". Chicago Tribune. May 12, 1960. p. D3. ↑ "Minnesota Twins History & Encyclopedia". Baseball-Reference. Retrieved June 29, 2008. 1 2 3 4 "Top Performances for Harmon Killebrew". Retrosheet. Retrieved July 20, 2008. ↑ "July 11, 1961 All-Star Game Play-By-Play". Baseball-Reference. Retrieved May 17, 2011. ↑ "Killebrew Puts Maris In Shade In Homer Derby". Lewiston Morning Tribune. October 16, 1961. p. 6. 1 2 Thielman, p. 146. ↑ "The 1962 MIN A Batting Splits for Harmon Killebrew". Retrosheet. Retrieved July 15, 2008. ↑ "Minnesota Twins 14, Cleveland Indians 3". Retrosheet. Retrieved July 26, 2008. ↑ "1962 American League Expanded Leaderboards". Baseball-Reference. Retrieved July 15, 2008. ↑ "Harmon Killebrew Okays Record Senators' Pact". The Hartford Courant. February 18, 1963. p. 18A. ↑ "Twins Bench Killebrew and .105 Bat". Chicago Tribune. April 16, 1963. p. B1. ↑ Hackleman, Jim (June 29, 1963). "Killebrew on Hit Spree". The Portsmouth Times. p. 11. ↑ "Minnesota Twins 13, Boston Red Sox 4 (1)". Retrosheet. Retrieved July 20, 2008. ↑ "Harmon Killebrew Has Knee Surgery". Lewiston Morning Tribune. December 13, 1963. p. 14. 1 2 3 Allen, p. 79. ↑ Neal III, Lavelle E. (May 18, 2011). "Killebrew was 'Paul Bunyan with a uniform on'". Star Tribune. Archived from the original on May 20, 2011. Retrieved May 18, 2011. 1 2 Thielman, p. 102. ↑ "Minnesota Twins 6, Baltimore Orioles 5". Retrosheet. Retrieved June 29, 2008. ↑ "The 1965 MIN A Regular Season Batting Log for Harmon Killebrew". Retrosheet. Retrieved June 29, 2008. ↑ "1965 Minnesota Twins Schedule". Baseball-Reference. Retrieved June 29, 2008. ↑ "1965 World Series – LAD vs. MIN". Baseball-Reference.com. Sports Reference, LLC. Retrieved July 4, 2008. ↑ "Harmon Killebrew Off to Slow Start in Home Run Department". St. Joseph News-Press. May 19, 1966. p. 6D. ↑ "Baseball Awards Voting for 1966". Baseball-Reference.com. Retrieved July 4, 2008. 1 2 3 Rushin, pp. 195–196. ↑ "1967 Minnesota Twins Schedule". Baseball-Reference. Sports Reference, LLC. Retrieved July 4, 2008. ↑ "Baseball Awards Voting for 1967". Baseball-Reference. Retrieved July 4, 2008. ↑ "Killebrew Testifies at Boise Fraud Trial Year". Lewiston Morning Tribune. April 10, 1968. p. 15. ↑ "The 1968 MIN A Batting Splits for Harmon Killebrew". Retrosheet. Retrieved July 1, 2008. ↑ "The 1968 MIN A Regular Season Batting Log for Harmon Killebrew". Retrosheet. Retrieved July 1, 2008. ↑ Elliot, Jim (June 28, 1968). "Killebrew Finds Choice Surprise". The Baltimore Sun. p. C1. 1 2 Armour, p. 192. ↑ "Killebrew Out for 6–8 Weeks With Injury". Los Angeles Times. July 11, 1968. p. D18. ↑ "Minnesota Twins 13, Oakland 1". Retrosheet. Retrieved July 21, 2008. ↑ "Minnesota Twins 16, Oakland Athletics 4". Retrosheet. Retrieved July 21, 2008. ↑ "1969 Minnesota Twins Batting, Pitching, and Fielding Statistics". Baseball-Reference. Retrieved June 30, 2011. 1 2 3 Allen, p. 80. ↑ "Single-Season Leaders & Records for Bases on Balls". Baseball-Reference.com. Sports Reference, LLC. Retrieved May 18, 2011. ↑ "1969 AL Championship Series – BAL vs. MIN". Baseball-Reference. Retrieved July 4, 2008. ↑ "Frank Robinson, Killebrew Sign Up". The Free Lance-Star. February 26, 1970. p. 5. ↑ "Harmon, Brooks Battle For Third". Spartanburg Herald-Journal. June 20, 1970. p. 9. ↑ "Baseball Awards Voting for 1970". Baseball-Reference. Retrieved July 4, 2008. ↑ "1970 AL Championship Series – BAL vs. MIN". Baseball-Reference.com. Sports Reference, LLC. Retrieved July 4, 2008. ↑ "$100,000 Pact For Killebrew". Daytona Beach Morning Journal. February 17, 1971. p. 7. ↑ "American League 6, National League 4". Retrosheet. Retrieved July 6, 2008. ↑ "Baltimore Orioles 4, Minnesota Twins 3". Retrosheet. Retrieved July 6, 2008. ↑ "Killebrew Not Upset Over Star Deletion". Schenectady Gazette. July 25, 1972. p. 16. ↑ "Harmon eyes Foxx and Mantle". The Calgary Herald. July 24, 1972. p. 17. ↑ "Health of Killebrew, Oliva Keys To Twins Chances in AL West". The Morning Record. March 26, 1973. p. 13. ↑ "Surgery Sidelines Harmon Killebrew For Six Weeks". Lewiston Morning Tribune. July 24, 1973. p. 14. ↑ "Harmon Killebrew Still Has His Big Moments". The Evening News. May 6, 1974. p. 8B. ↑ "Killebrew Says Thanks With Bat". The Milwaukee Journal. August 12, 1974. p. 12. ↑ "Griffith Offers 3 Options". Spartanburg Herald-Journal. December 13, 1974. p. 9. ↑ "Killebrew Connects in Return to Minn.". The Nevada Daily Mail. May 5, 1975. p. 8. 1 2 3 Allen, p. 81. ↑ "Harmon Killebrew Retires, Broadcasting Career Next". Lakeland Ledger. March 4, 1976. p. 2B. 1 2 3 "Hall of Fame Votes By Player". National Baseball Hall of Fame. Archived from the original on June 9, 2012. Retrieved July 5, 2008. ↑ Reusse, Patrick (January 31, 1983). "Killebrew Faces More Frustration". The Sporting News: 43. ↑ "Twins All-Time Broadcasters". MLB Advanced Media, L.P. Retrieved September 3, 2010. ↑ "Baseball Hall of Fame – Frick Voting – Retired Broadcasters". National Baseball Hall of Fame and Museum. Retrieved September 3, 2010. 1 2 3 Markoe, p. 515. ↑ Gammons, Peter (April 19, 1981). "Uneasy Peace on Sox' Bench". Boston Globe. 1 2 Kalb, p. 350. ↑ Dozer, Richard (August 16, 1959). "That's Harmon Killebrew, Washington Senators' 23 Year Old Home Run Hitter". Chicago Tribune. p. F20. 1 2 Kalb, p. 351. ↑ "Harmon Killebrew Foundation". The Lowertown Group. Retrieved August 22, 2008. ↑ "Danny Thompson Memorial Golf Tournament". Danny Thompson Memorial Foundation. Retrieved August 22, 2008. ↑ "Twins great Harmon Killebrew diagnosed with cancer". KARE. December 30, 2010. Retrieved December 30, 2010. ↑ "Harmon Killebrew says he has cancer". ESPN.com. January 14, 2011. Archived from the original on August 11, 2014. Retrieved May 13, 2011. ↑ "Statement from Harmon Killebrew". MLB.com (Press release). May 13, 2011. Archived from the original on May 16, 2011. Retrieved May 13, 2011. ↑ Rhett Bollinger (May 14, 2011). "Twins' vintage jerseys will honor Killebrew". MLB.com. Retrieved May 17, 2011. ↑ Boren, Cindy (May 16, 2011). "Nationals, Twins pay tribute to Harmon Killebrew". The Washington Post. Retrieved August 22, 2011. ↑ "Harmon Killebrew dies at 74". ESPN.com. May 17, 2011. Archived from the original on November 6, 2012. Retrieved May 17, 2011. ↑ "Quotes about the death of Twins great Harmon Killebrew". Naples News. May 17, 2011. Archived from the original on April 3, 2012. Retrieved June 30, 2011. ↑ Thursby, Keith (May 18, 2001). "Harmon Killebrew dies at 74; Hall of Famer was one of baseball's premier home-run hitters". Los Angeles Times. Archived from the original on November 7, 2012. Retrieved July 2, 2011. ↑ Caple, Jim (May 17, 2011). "Harmon Killebrew was a treasure". ESPN. Archived from the original on November 7, 2012. Retrieved July 4, 2011. ↑ Miller, Stephen (May 18, 2011). "Modest 'Killer' Let Bat Do His Talking". The Wall Street Journal. Archived from the original on November 11, 2012. Retrieved May 19, 2011. ↑ "Players by birthplace: Idaho Baseball Stats and Info". Baseball-Reference.com. Archived from the original on November 13, 2012. Retrieved August 5, 2009. ↑ "Career Leaders & Records for Bases on Balls". Baseball-Reference. Archived from the original on October 21, 2012. Retrieved May 18, 2011. ↑ "Frank Thomas Statistics and History". Baseball-Reference.com. Archived from the original on March 1, 2014. Retrieved June 30, 2011. ↑ "Baseball's 100 Greatest Players". The Sporting News: 20. April 1999. ↑ "All-Century Team final voting". ESPN.com. Associated Press. October 23, 1999. Archived from the original on June 19, 2009. Retrieved March 5, 2009. ↑ "Heavenly Resort turns 50". Reno Gazette. November 13, 2005. p. E1. ↑ Davis, David (October 23, 2008). "The Man Behind the MLB Logo". The Wall Street Journal. Archived from the original on June 2, 2013. Retrieved June 30, 2011. 1 2 Campbell, Dave (May 19, 2011). "Legend of MLB logo: Designer Says Not Killebrew". ABC News. Archived from the original on April 3, 2012. Retrieved June 30, 2011. ↑ Luciano, Ron (1984). Umpire Strikes Back. Bantam. p. 59. ISBN 978-0-553-24846-3. ↑ Pahigian and O'Connell, p. 253. ↑ "Baseball Today". MLB.com. Retrieved August 22, 2008. ↑ "May 1966 Chronology". Baseball Library. Retrieved August 22, 2008. ↑ Gabler, Jean (June 15, 2011). "Harmon Killebrew: The Minnesota Twins say goodbye to a legend". Twin Cities Daily Planet. Archived from the original on June 18, 2011. Retrieved June 17, 2011. Allen, Bob; Bill Gilbert (2000). The 500 Home Run Club: Baseball's 16 Greatest Home Run Hitters from Babe Ruth to Mark McGwire. Champaign, Illinois: Sports Publishing. ISBN 1-58261-289-7. Armour, Mark L.; Daniel R. Levitt (2004). Paths to Glory: How Great Baseball Teams Got That Way. Dulles, Virginia: Brassey's. ISBN 1-57488-805-6. Kalb, Elliott (2005). Who's Better, Who's Best in Baseball?. New York: McGraw-Hill Professional. ISBN 0-07-144538-2. Leboutillier, Nate (2008). The Story of the Minnesota Twins. Mankato, Minnesota: Creative Education. ISBN 1-58341-493-2. Markoe, Arnie (2002). The Scribner Encyclopedia of American Lives. New York: Charles Scribner's Sons. ISBN 0-684-80665-7. Pahigian, Josh; Kevin O'Connell (2004). The Ultimate Baseball Road-trip: A Fan's Guide to Major League Stadiums. Guilford, Connecticut: Lyons Press. ISBN 1-59228-159-1. Porter, David L. (2000). Biographical Dictionary of American Sports. Westport, Connecticut: Greenwood Publishing Group. ISBN 0-313-31175-7. Rushin, Steve (2000). The Caddie Was a Reindeer: And Other Tales of Extreme Recreation. New York: Atlantic Monthly Press. ISBN 0-87113-878-6. Thielman, Jim (2005). Cool of the Evening: The 1965 Minnesota Twins. Minneapolis: Kirk House Publishers. ISBN 1-886513-71-6. Wikimedia Commons has media related to Harmon Killebrew.